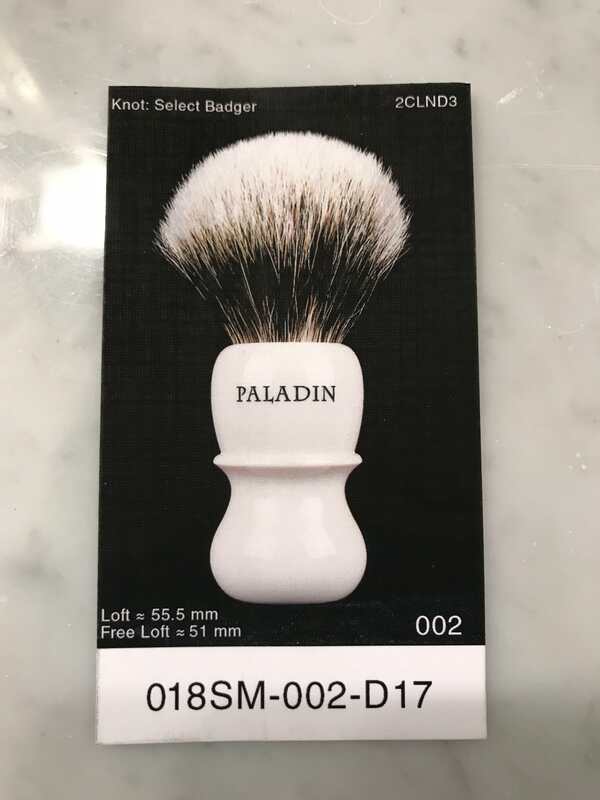 I am selling three Paladin 28mm brushes today. 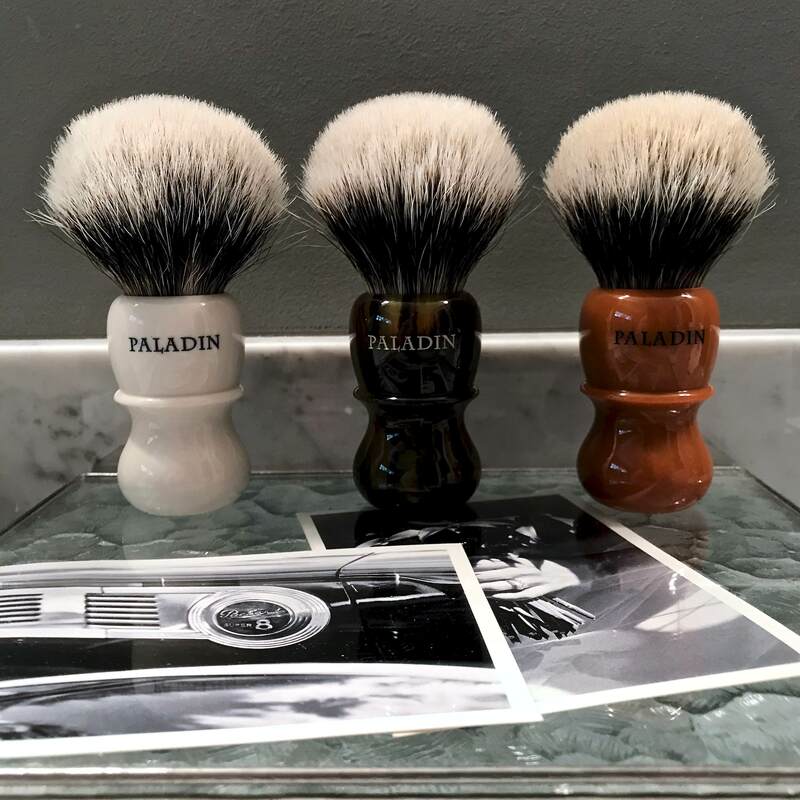 Each brush retails for $220. I am asking $160 for each. Prices include shipping CONUS. See details below. Thanks for looking. 1. Chief (somerset) 2CLND3. Moderate back bone and very soft tips. Nice individual hair presence. 2. Chief (butterscotch) 2CLND3. Moderate back bone and gel tips. Very soft. 3. Chief (tortoise) 2CHWD5. 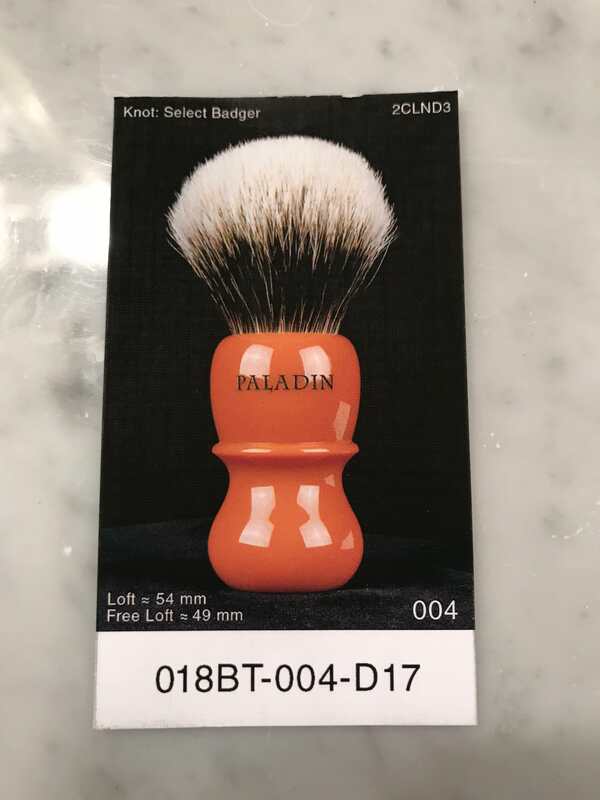 As Ken wrote in knot notes, this brush is "deliciously scrubby." Not a touch of scritch. Soft tips. The tortoise has sold. The somerset and butterscotch are still available. The butterscotch is also sold. The somerset is still available. 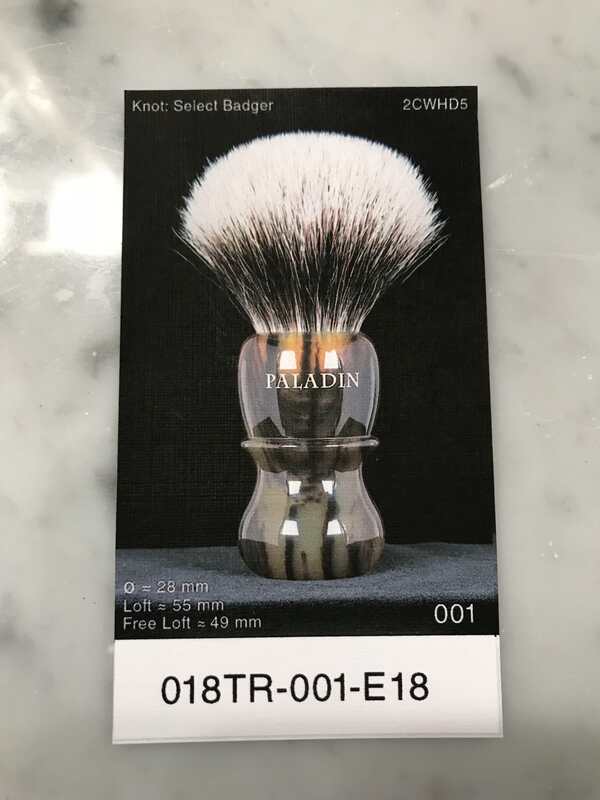 Stellar brushes and a great seller.